If there's one piece of equipment we can pretty much guarantee your facility hasn't used since last winter it's your snowblower. With November here, the snow could start falling at any time (if it hasn't already in some areas), which means your snowblower's time to shine could be coming soon. Like any piece of equipment that hasn't been used for some time, it's important to check your snowblower over before you put it to use to make sure it's working properly and safely. With some regular preventative maintenance checks and tests, your staff and your snowblower can be set for a safe, effective first use. Give it a Once-Over. Check your snowblower’s auger, make sure the fuel from last year was drained, check for loose cables, and do an overall check of all the pieces to see if anything needs attention. Check the Owner’s Manual. 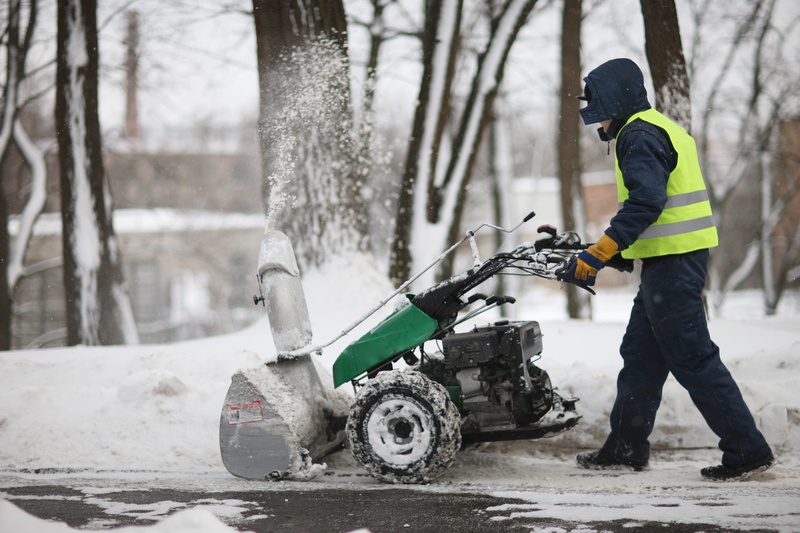 Familiarize yourself or any new (or old) employees who will be using the snowblower to ensure safe handling procedures. Make sure everyone knows how to operate it and that the user manual is easily accessible. Check the Last Repair Records. Before you, or anyone else, starts using the snowblower, check your records to see what the last repairs done on the snowblower were, or what the person who inspected it before it was put away for summer had to say. This sort of check can be accomplished much easier if you're using a CMMS for accurate asset tracking and equipment lifespan monitoring. Make Sure it's Accessible. Make sure that the snowblower is easily accessible for when you need it. It’s not very convenient to have to move things out of the way when you are wanting to clear snow. Also, make sure it has plenty of fuel so that you’re not inconvenienced or find yourself without a way to get fuel if there is a major storm. Power Off. If you plan to unclog the blower or do anything near the chute or auger, make sure the power is off and never put your hands in either place. Use a stick or cleaning tool to clear debris if needed. Choose Your Aim. Make sure you are careful about aiming the snow and that no one is near where that aim is. Remember that a snowblower can occasionally pick up small rocks or ice chips and throw them with the snow. Make sure to keep the snow away from people, pets, vehicles, and anything that could be damaged. And try to keep it far enough away from doorways, walkways, and property that isn't your facility's. Check Your Visibility. Always make sure conditions are clear and visible enough when operating a snowblower. You might be tempted to get out there are start clearing before the snow stops falling but this is a safety hazard for both you and others around you. Make sure you have plenty of light, too. Keep it Level. Make sure that you steer away from slopes and inclines where the snowblower could tip over. Some snowblowers are a lot heavier than they look, and tipping the machine over could not only damage it, but also injure the operator. If your facility is in need a way to track the repair history, lifecycle, and cost of equipment like snowblowers, CMMS maintenance management software might be the way to go. Find out how our CMMS can work for you with a free, live demo.